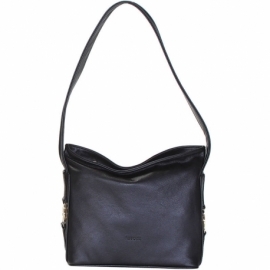 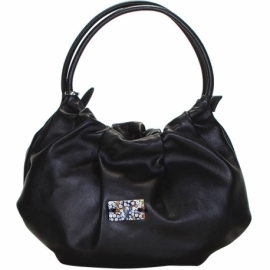 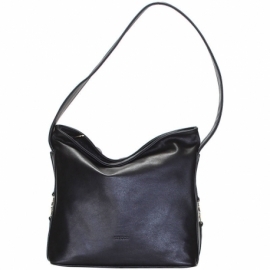 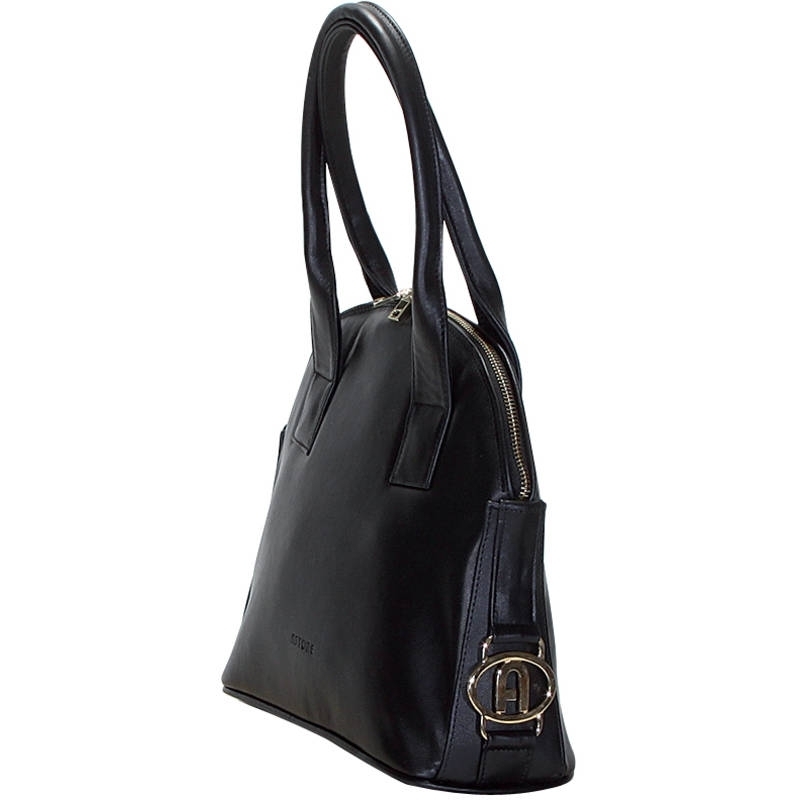 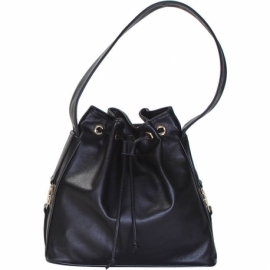 Natural leather handbag with handles and zip fastener. 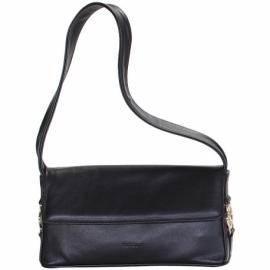 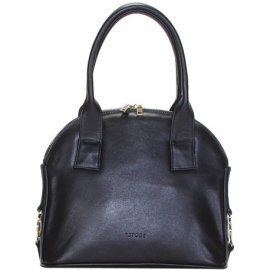 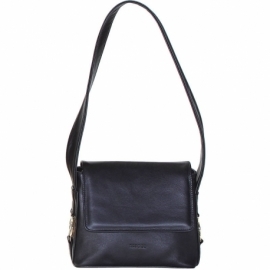 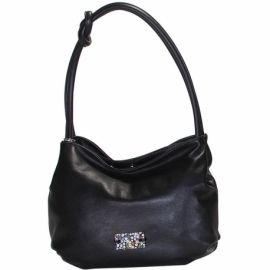 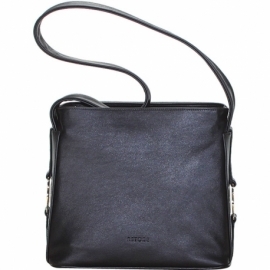 It's very elegant and ideal for both free time and casual clothes, and for more formal situations, it fits at any age. 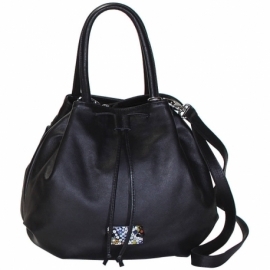 Color black and plain pattern.